The name “Twin Islands” refers to the two largest islands of New Zealand. These are essential kiwi wines made by real kiwi characters to complement a kiwi lifestyle: at the beach, at the bach, by the barbeque, on the boat. 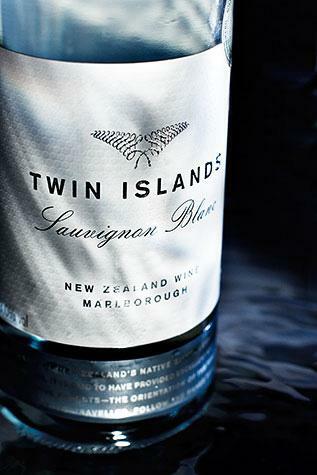 The wine style shows pure fruit and intense zingy aromas – a pure, classic Marlborough Sauvignon Blanc. Fresh, clean, bright packaging reflects the fresh, clean, bright wine style. The silver fern displayed on the packaging is a classic New Zealand way-marker used by Maori to find their way through the dense New Zealand bush.